Collectively, the mucocele, the oral ranula, and the cervical, or plunging, ranula are clinical terms for a pseudocyst that is associated with mucus extravasation into the surrounding soft tissues. These lesions occur as the result of trauma or obstruction to the salivary gland excretory duct and spillage of mucin into the surrounding soft tissues. Mucoceles, which are of minor salivary gland origin, are also referred to as mucus retention phenomenon and mucus escape reaction. The superficial mucocele, a special variant, has features that resemble a mucocutaneous disease. At times, the mucus retention cyst, also referred to as the sialocyst or the salivary duct cyst, is included in this group of lesions but appears to represent a separate entity on the basis of its clinical and histopathologic features. Although the mucus retention cyst is discussed in this article, its features are differentiated from the features of the pseudocysts. The lesions of the sinus, such as sinus mucoceles, antral pseudocysts, and retention cysts, are not included in this discussion. Ranulas are mucoceles that occur in the floor of the mouth and usually involve the major salivary glands. Specifically, the ranula originates in the body of the sublingual gland, in the ducts of Rivini of the sublingual gland, and, infrequently from the minor salivary glands at this location. These lesions are divided into 2 types: oral ranulas and cervical or plunging ranulas. Oral ranulas are secondary to mucus extravasation that pools superior to the mylohyoid muscle, whereas cervical ranulas are associated with mucus extravasation along the fascial planes of the neck. Rarely, the mucocele arises within the submandibular gland and presents as a plunging ranula. Regarding superficial mucoceles, trauma does not always appear to play an important role in the pathogenesis. In many cases, mucosal inflammation that involves the minor gland duct results in blockage, dilatation, and rupture of the duct with subepithelial spillage of fluid. Changes in minor salivary gland function and composition of the saliva may contribute to their development. In some cases, an immunological reaction may be the cause. Besides ductal disruption, partial or total excretory duct obstruction is involved in the pathogenesis of ranulas in some instances. The duct may become occluded by a sialolith, congenital malformation, stenosis, periductal fibrosis, periductal scarring due to prior trauma, excretory duct agenesis, or even a tumor. Although most oral ranulas originate from the secretions of the sublingual gland, they may develop from the secretions of the submandibular gland duct or the minor salivary glands on the floor of the mouth. The mucus extravasation of the sublingual gland almost exclusively causes cervical ranulas. The mucus escapes through openings or dehiscence in the underlying mylohyoid muscle. Occasionally, ectopic sublingual glands may be responsible for the problem. When mucus secretions escape into the neck through the mylohyoid muscle, they extend into the fascial tissue planes and cause a diffuse swelling of the lateral or submental region of the neck. The continuous secretions from the sublingual gland allow for relatively rapid accumulation of mucus in the neck and a constantly expanding cervical mass. Unlike the submandibular gland, the sublingual gland is defined as a spontaneous secretor, capable of producing secretions without neural stimulation. Inflammatory reaction to these secretions results in the formation of granulation tissue and subsequent fibrosis that may result is the entrapment of the fluid and the sealing of the leak. The mucus retention cyst may also develop because of ductal obstruction; however, many of these lesions actually represent a distinct cystic entity of unknown cause. When ductal occlusion is involved, it is usually caused by a sialolith or an inspissated secretion that results in ductal dilatation and focal containment of the mucoid material. The most frequently injured glands are the minor salivary glands of the lower lip. The mechanism of injury is mechanical, with the tissue of the lower lip becoming caught between the maxillary anterior teeth and the mandibular anterior teeth during mastication or with the habit of biting one's lip. This trauma results in a crush-type injury and severance of the excretory duct of the minor salivary gland. In the palate, low-grade chronic irritation (eg, from heat and noxious tobacco products) may cause these lesions to develop. Mucoceles occur when injury to the minor salivary glands occurs usually secondary to trauma; biting one's lip; chronic inflammation with periductal scarring; excretory duct fibrosis; prior surgery; trauma from oral intubation; or rarely, minor salivary gland sialolithiasis. Most mucoceles occur because of severance of the excretory duct and extravasation of mucus into the adjacent tissue. Birth trauma that affects the oral cavity is believed to cause some congenital mucoceles in some newborns. Potential causes include the baby sucking his or her fingers in utero or the baby passing through the birth canal. Other causes include the use of forceps during delivery or suctioning of the baby's mouth after birth. Most ranulas are the result of escaped mucus from an injured excretory duct, while ductal obstruction of primarily the sublingual gland and rarely the submandibular gland is a less common cause. This obstruction is often due to a sialolith or mucus plug; however, chronic inflammation or infection with periductal scarring, trauma, ductal stenosis, ductal hypoplasia or agenesis, and neoplasia are other causes of ranula formation. Cervical ranulas are usually associated with a discontinuity of the mylohyoid muscle. The mylohyoid muscle is regarded as the diaphragm of the floor of the mouth; however, it is not a strict anatomical barrier from entry into the neck. A dehiscence or hiatus in the mylohyoid muscle has been noted in 36-45% of individuals in cadaver studies. This defect is observed along the lateral aspect of the anterior two thirds of the muscle. Projections of sublingual glandular tissue or ectopic glandular tissue may also extend into the neck; these projections facilitate cervical ranula formation. Approximately 45% of plunging ranulas occur after surgery to remove oral ranulas. Example of a cervical ranula with no oral involvement in an adult. The swelling developed after a car accident in which the individual had trauma to the face and neck. An obstruction of the excretory duct, with pooling and dilatation of the affected duct, causes the mucus retention cyst. A mucus plug appears to be the cause in most instances, although a sialolith accounts for some of these cysts. With superficial mucoceles, mucosal inflammation and the salivary composition of the minor glands, rather than trauma, induces these lesions. Lichen planus, lichenoid drug reaction, and chronic graft versus host disease can trigger the formation of superficial mucoceles. Tartar-control toothpaste may be the inciting factor in a few cases of superficial mucoceles. Mucoceles of the anterior lingual salivary glands (glands of Blandin and Nuhn) are relatively uncommon. In the Minnesota Oral Disease Prevalence Study, Blandin and Nuhn mucoceles had a lower prevalence than mucoceles at other locations, or 0.1 cases per 1000 persons. This type of mucocele represents an estimated 2-10% of all mucoceles. Superficial mucoceles are typically located in the soft palate, the retromolar region, and the posterior buccal mucosa. They represent approximately 6% of all mucoceles. Multiple superficial mucoceles have been reported in a small number of patients. In an 11-year retrospective review of oral mucoceles and sialocysts from a university-based oral and maxillofacial pathology laboratory, most lesions were found to be mucus retention phenomenon (mucoceles, 91%). In descending order, the other diagnoses included ranulas (6%), and mucus retention cysts (5%). Mucoceles outnumbered mucus retention cysts by a ratio of 15.3:1.0. More limited histopathologic studies document that the mucus retention cyst (those lesions with an epithelial lining) accounts for 3-18% of all oral mucoceles. Ranulas have a prevalence of 0.2 cases per 1000 persons and are ranked 41st in the Minnesota Oral Disease Prevalence Study. As noted previously, ranulas accounted for 6% of all oral sialocysts in a university-based oral and maxillofacial biopsy service. The prevalence of cervical (plunging) ranulas is not known; however, these lesions are considered uncommon. The number of ranulas that represents a true retention cyst ranges from less than 1% to 10%. No racial predilection is reported for any of the lesions. Although no sexual predilection is usually associated with mucoceles, the prevalence of the lesions in the Minnesota Oral Disease Prevalence Study was 1.9 cases per 1000 males compared with 2.6 cases per 1000 females. Other authors have shown that mucoceles are more common in males than in females, with a male-to-female ratio of 1.3:1. In the reported cases, superficial mucoceles and mucoceles of Blandin and Nuhn have a predilection for females. Most mucoceles occur in young individuals, with 70% of individuals being younger than 20 years. The peak prevalence occurs in persons aged 10-20 years. Although not well studied, superficial mucoceles tend to occur in individuals older than 30 years. Ranulas usually occur in children and young adults, with the peak frequency in the second decade. The cervical variant tends to occur a little later in the third decade. Mucus retention cysts occur in older individuals; the peak prevalence occurs in persons aged 50-60 years. Rarely, prenatally diagnosed and congenital mucoceles and ranulas have been reported. Mucoceles tend to be relatively painless or asymptomatic lesions with little or no associated morbidity or mortality. Depending on the size and location, some mucoceles may interfere with normal mastication. Superficial mucoceles are likely to recur periodically, and new lesions may develop over time. Surgical therapy for oral ranulas may result in the creation of cervical ranulas. As noted previously, almost one half of cervical ranulas are those occurring after surgical attempts to eliminate oral ranulas. When these lesions are managed by marsupialization alone, the recurrence rate is high. Lesions usually develop 6-8 weeks after surgery, but recurrences may be found as late as 12 months. With adequate surgical excision, mucus retention cysts are not likely to recur. Educate the patient regarding early recognition of a mucocele, an oral ranula, or a cervical ranula recurrence. If oral habits are contributing to the formation of mucoceles, it is important to eliminate the contributing factor, such as aggressive lip biting or sucking. Educate the patient to recognize signs and symptoms of wound infection after surgical intervention and to seek the care of a dentist or physician if necessary. Harrison JD. Modern management and pathophysiology of ranula: literature review. Head Neck. 2010 Oct. 32(10):1310-20. [Medline]. Hoque MO, Azuma M, Sato M. Significant correlation between matrix metalloproteinase activity and tumor necrosis factor-alpha in salivary extravasation mucoceles. J Oral Pathol Med. 1998 Jan. 27(1):30-3. [Medline]. Azuma M, Tamatani T, Fukui K, et al. Proteolytic enzymes in salivary extravasation mucoceles. J Oral Pathol Med. 1995 Aug. 24(7):299-302. [Medline]. Mun SJ, Choi HG, Kim H, et al. Ductal variation of the sublingual gland: a predisposing factor for ranula formation. Head Neck. 2014 Apr. 36(4):540-4. [Medline]. Chidzonga MM, Rusakaniko S. Ranula: another HIV/AIDS associated oral lesion in Zimbabwe?. Oral Dis. 2004 Jul. 10(4):229-32. [Medline]. Syebele K, Bütow KW. Oral mucoceles and ranulas may be part of initial manifestations of HIV infection. AIDS Res Hum Retroviruses. 2010 Oct. 26(10):1075-8. [Medline]. Crean SJ, Connor C. Congenital mucoceles: report of two cases. Int J Paediatr Dent. 1996 Dec. 6(4):271-5. [Medline]. Pownell PH, Brown OE, Pransky SM, Manning SC. Congenital abnormalities of the submandibular duct. Int J Pediatr Otorhinolaryngol. 1992 Sep. 24(2):161-9. [Medline]. Axell T. A prevalence study of oral mucosal lesions in an adult Swedish population. Odontol Revy. 1976. 27(36):1-103. [Medline]. Bessa CF, Santos PJ, Aguiar MC, do Carmo MA. Prevalence of oral mucosal alterations in children from 0 to 12 years old. J Oral Pathol Med. 2004 Jan. 33(1):17-22. [Medline]. Zhao YF, Jia Y, Chen XM, Zhang WF. Clinical review of 580 ranulas. Oral Surg Oral Med Oral Pathol Oral Radiol Endod. 2004 Sep. 98(3):281-7. [Medline]. Pang CE, Lee TS, Pang KP, Pang YT. Thoracic ranula: an extremely rare case. J Laryngol Otol. 2005 Mar. 119(3):233-4. [Medline]. Mínguez-Martinez I, Bonet-Coloma C, Ata-Ali-Mahmud J, Carrillo-García C, Peñarrocha-Diago M, Peñarrocha-Diago M. Clinical characteristics, treatment, and evolution of 89 mucoceles in children. J Oral Maxillofac Surg. 2010 Oct. 68(10):2468-71. [Medline]. Wu CW, Kao YH, Chen CM, Hsu HJ, Chen CM, Huang IY. Mucoceles of the oral cavity in pediatric patients. Kaohsiung J Med Sci. 2011 Jul. 27(7):276-9. [Medline]. Eveson JW. Superficial mucoceles: pitfall in clinical and microscopic diagnosis. Oral Surg Oral Med Oral Pathol. 1988 Sep. 66(3):318-22. [Medline]. Garcia-F-Villalta MJ, Pascual-Lopez M, Elices M, Dauden E, Garcia-Diez A, Fraga J. Superficial mucoceles and lichenoid graft versus host disease: report of three cases. Acta Derm Venereol. 2002. 82(6):453-5. [Medline]. Mandel L. Plunging ranula following placement of mandibular implants: case report. J Oral Maxillofac Surg. 2008 Aug. 66(8):1743-7. [Medline]. Chi AC, Lambert PR 3rd, Richardson MS, Neville BW. Oral mucoceles: a clinicopathologic review of 1,824 cases, including unusual variants. J Oral Maxillofac Surg. 2011 Apr. 69(4):1086-93. [Medline]. Campana F, Sibaud V, Chauvel A, Boiron JM, Taieb A, Fricain JC. Recurrent superficial mucoceles associated with lichenoid disorders. J Oral Maxillofac Surg. 2006 Dec. 64(12):1830-3. [Medline]. Macdonald AJ, Salzman KL, Harnsberger HR. 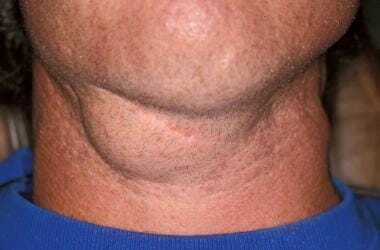 Giant ranula of the neck: differentiation from cystic hygroma. AJNR Am J Neuroradiol. 2003 Apr. 24(4):757-61. [Medline]. Osborne TE, Haller JA, Levin LS, Little BJ, King KE. Submandibular cystic hygroma resembling a plunging ranula in a neonate. Review and report of a case. Oral Surg Oral Med Oral Pathol. 1991 Jan. 71(1):16-20. [Medline]. Ali MK, Chiancone G, Knox GW. Squamous cell carcinoma arising in a plunging ranula. J Oral Maxillofac Surg. 1990 Mar. 48(3):305-8. [Medline]. Lesperance MM. When do ranulas require a cervical approach?. Laryngoscope. 2013 Aug. 123(8):1826-7. [Medline]. Yasumoto M, Nakagawa T, Shibuya H, Suzuki S, Satoh T. Ultrasonography of the sublingual space. J Ultrasound Med. 1993 Dec. 12(12):723-9. [Medline]. Woo SH, Chi JH, Kim BH, Kwon SK. Treatment of intraoral ranulas with micromarsupialization: Clinical outcomes and safety from a phase II clinical trial. Head Neck. 2013 Dec 22. [Medline]. Amaral MB, de Freitas JB, Mesquita RA. Upgrading of the micro-marsupialisation technique for the management of mucus extravasation or retention phenomena. Int J Oral Maxillofac Surg. 2012 Dec. 41(12):1527-31. [Medline]. Piazzetta CM, Torres-Pereira C, Amenábar JM. Micro-marsupialization as an alternative treatment for mucocele in pediatric dentistry. Int J Paediatr Dent. 2012 Sep. 22(5):318-23. [Medline]. Giraddi GB, Saifi AM. Micro-marsupialization versus surgical excision for the treatment of mucoceles. Ann Maxillofac Surg. 2016 Jul-Dec. 6 (2):204-209. [Medline]. Bodner L, Manor E, Joshua BZ, Shaco-Levy R. Oral Mucoceles in Children--Analysis of 56 New Cases. Pediatr Dermatol. 2015 Sep-Oct. 32 (5):647-50. [Medline]. Prasad M, Kale TP, Halli R, Kotrashetti SM, Baliga SD. Liquid nitrogen cryotherapy in the management of oral lesions: a retrospective clinical study. J Maxillofac Oral Surg. 2009 Mar. 8 (1):40-2. [Medline]. Aulakh KK, Brar RS, Azad A, Sharma S, Anand A, Jyoti B. Cryotherapy for Treatment of Mouth Mucocele. Niger J Surg. 2016 Jul-Dec. 22 (2):130-133. [Medline]. Jinbu Y, Tsukinoki K, Kusama M, Watanabe Y. Recurrent multiple superficial mucocele on the palate: Histopathology and laser vaporization. Oral Surg Oral Med Oral Pathol Oral Radiol Endod. 2003 Feb. 95(2):193-7. [Medline]. Jia Y, Zhao Y, Chen X. Clinical and histopathological review of 229 cases of ranula. J Huazhong Univ Sci Technolog Med Sci. 2011 Oct. 31(5):717-20. [Medline]. McCaul JA, Lamey PJ. Multiple oral mucoceles treated with gamma-linolenic acid: report of a case. Br J Oral Maxillofac Surg. 1994 Dec. 32(6):392-3. [Medline]. Luiz AC, Hiraki KR, Lemos CA Jr, Hirota SK, Migliari DA. Treatment of painful and recurrent oral mucoceles with a high-potency topical corticosteroid: a case report. J Oral Maxillofac Surg. 2008 Aug. 66(8):1737-9. [Medline]. Zhi K, Wen Y, Ren W, Zhang Y. Management of infant ranula. Int J Pediatr Otorhinolaryngol. 2008 Jun. 72(6):823-6. [Medline]. Sinha R, Sarkar S, Khaitan T, Kabiraj A, Maji A. Nonsurgical Management of Oral Mucocele by Intralesional Corticosteroid Therapy. Int J Dent. 2016. 2016:2896748. [Medline]. Delbem AC, Cunha RF, Vieira AE, Ribeiro LL. Treatment of mucus retention phenomena in children by the micro-marsupialization technique: case reports. Pediatr Dent. 2000 Mar-Apr. 22(2):155-8. [Medline]. Jinbu Y, Kusama M, Itoh H, Matsumoto K, Wang J, Noguchi T. Mucocele of the glands of Blandin-Nuhn: clinical and histopathologic analysis of 26 cases. Oral Surg Oral Med Oral Pathol Oral Radiol Endod. 2003 Apr. 95(4):467-70. [Medline]. Mintz S, Barak S, Horowitz I. Carbon dioxide laser excision and vaporization of nonplunging ranulas: a comparison of two treatment protocols. J Oral Maxillofac Surg. 1994 Apr. 52(4):370-2. [Medline]. Neumann RA, Knobler RM. Treatment of oral mucous cysts with an argon laser. Arch Dermatol. 1990 Jun. 126(6):829-30. [Medline]. Fukase S, Ohta N, Inamura K, Aoyagi M. Treatment of ranula wth intracystic injection of the streptococcal preparation OK-432. Ann Otol Rhinol Laryngol. 2003 Mar. 112(3):214-20. [Medline]. Roh JL, Kim HS. Primary treatment of pediatric plunging ranula with nonsurgical sclerotherapy using OK-432 (Picibanil). Int J Pediatr Otorhinolaryngol. 2008 Sep. 72(9):1405-10. [Medline]. Chow TL, Chan SW, Lam SH. Ranula successfully treated by botulinum toxin type A: report of 3 cases. Oral Surg Oral Med Oral Pathol Oral Radiol Endod. 2008 Jan. 105(1):41-2. [Medline]. Baurmash HD. Marsupialization for treatment of oral ranula: a second look at the procedure. J Oral Maxillofac Surg. 1992 Dec. 50(12):1274-9. [Medline]. Kim MG, Kim SG, Lee JH, Eun YG, Yeo SG. The therapeutic effect of OK-432 (picibanil) sclerotherapy for benign neck cysts. Laryngoscope. 2008 Dec. 118(12):2177-81. [Medline]. Zhao YF, Jia J, Jia Y. Complications associated with surgical management of ranulas. J Oral Maxillofac Surg. 2005 Jan. 63(1):51-4. [Medline]. Classic example of a mucocele in a child. The fluctuant, translucent-blue nodule on the lower labial mucosa has been present for 6 weeks. Trauma from sucking on the lower lip was suspected to be the cause. Fluctuant submucosal nodule of the lower lip consistent with a mucocele. Surgical excision of the mucocele in Media File 2. Mucocele on the midline ventral surface of the tongue involving the glands of Blandin and Nuhn. Example of 2 superficial mucoceles of the soft palate in a 50-year-old woman. The red lesion represents a recently ruptured mucocele, and the translucent papular lesion represents an intact mucocele. Unilateral oral ranula in a young adult manifesting as a purple swelling. Ranula on the floor of the mouth with focal ulceration. Low-power photomicrograph of a mucocele with attenuation of the mucosal surface and pooling of mucus (hematoxylin-eosin, original magnification X40). High-power photomicrograph of a mucocele with pooling of mucus and numerous foamy histiocytes (hematoxylin-eosin, original magnification X400). Intermediate-power photomicrograph of an affected minor salivary gland lobule with atrophy of the acinar structures, ductal ectasia, and fibrosis (hematoxylin-eosin, original magnification X100).